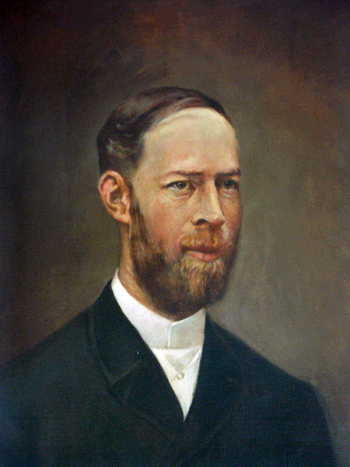 Today 22 Feb 2012, scientific media celebrated the birthday of Heinrich Rudolf Hertz who was born 155 years ago on 1857 in Hamburg - Germany. Hertz is considered a leader in the field of radio waves experiments, from his research inventions like Radio Telegraph was created. He clarified the electromagnetic theory of light that had been put forth by Maxwell. He was the first to satisfactorily demonstrate the existence of electromagnetic waves by building an apparatus to produce and detect radio waves. which eventually turned to be false ! Hertz died in Bonn - Germany at the age of 36 years. 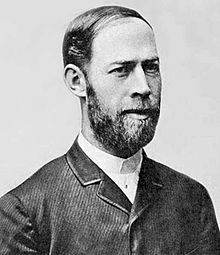 The international unit for measuring frequency was named after him "Hertz", it is also claimed that a hole on the moon is named after him.